Pairing beer and food can be a very rewarding experience, so can cooking with your favorite beers. The broad range of flavors and aromas of HooDoo’s beer can be paired with a variety of dishes. We’ll also list tried and true recipes, recipes to do, and other foodie inspirations! Do you have any favorite HooDoo/Food or Beer-inspired recipes? Or are you curious about incorporating beer into your cooking and want us to try? Let us know in the comments below. 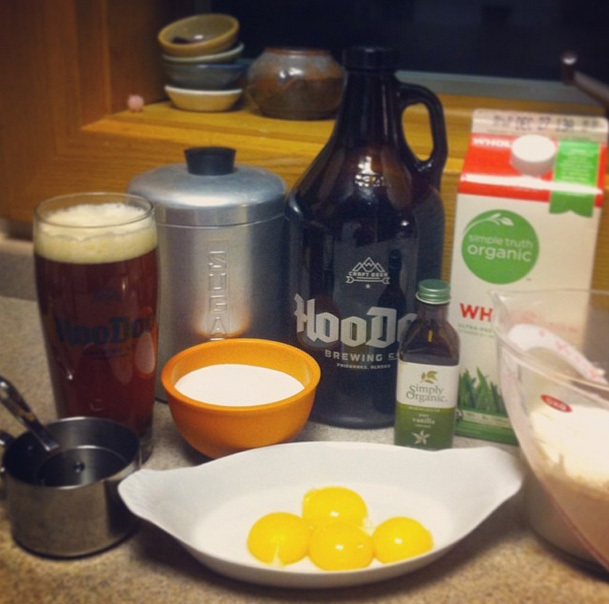 Malt-forward HooDoo Beers make great ice cream. Here, Karen makes a holiday treat using the Pumpkin Ale.